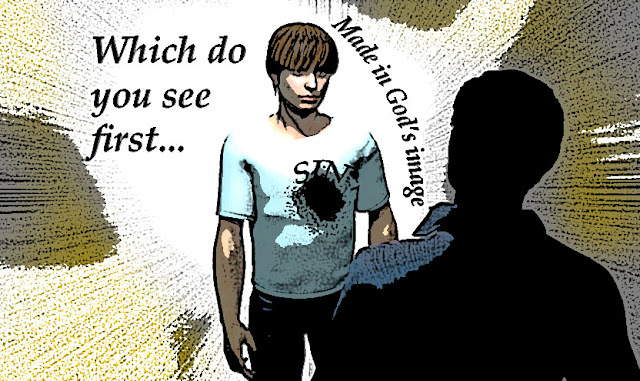 churchtoons, cartoon bible messages from church: Is this person made in God's image? Is this person made in God's image? to each other whenever possible. The gospel shines best in our deeds.